We’re only heading into Round 3 of this year’s NRL competition, but that certainly hasn’t stopped the media talking about State of Origin. Despite the men’s three-game series being several months away, experts are already selecting their teams and suggesting players that could potentially make their debut. 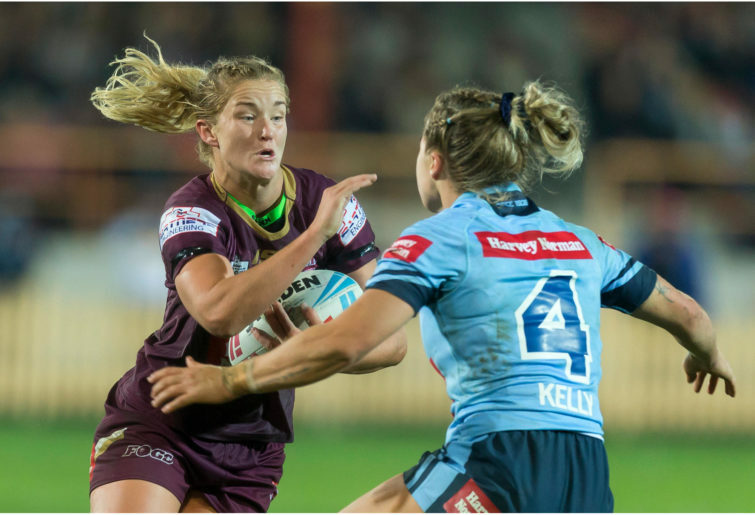 Normally I find this chatter frustrating so early in the season, but this year I’m slightly less frustrated because there has also been increased focus on the Women’s State of Origin which will be held at North Sydney Oval on June 21. How NSW managed to secure the home-ground advantage for another year I don’t know, but I suspect that it involves building on the momentum from last year where over 7000 people turned out to watch the game at North Sydney with an estimated 750,000-strong television audience during prime time. While the game is still several months away, there have been some exciting developments this week. On Monday, Queensland premier Annastacia Palaszczuk announced that the Queensland women’s team had undergone a name change. Truth be told, I have been referring to the Queensland women’s team as the Maroons for as long as I have been covering Women’s State of Origin, but apparently back in 2007 that team was given the name the ‘Queensland Brolgas’. On Monday this name was officially changed to the Queensland Maroons reflecting equality across the men’s and the women’s game. 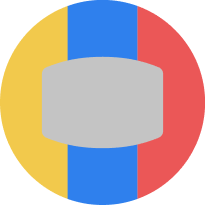 Language is important and this name change signifies that the men and women’s teams are now on equal footing. Back in NSW, there have been other developments. The NSW Blues have a new coach: Andrew Patmore. Andrew was the assistant coach to Ben Cross in 2018 and was offered the head coach position when Ben stepped down this year. Training has also started. Andrew has held two training days with his squad of 25 from last year and an emerging squad of 32. There are further training days in April and May where even more women are expected, potentially up to 60. This swell of numbers is very exciting and suggests that the pathways are working. Women and girls now have a very visible pathway in the NSW system. From the Tarsha Gale Cup through to the Harvey Norman Women’s Premiership, then to the NRLW with representative honours for the Blues and Australian Jillaroos the ultimate recognition. A good example of a pathways product is Rikeya Horne. This will be her second year with Cabramatta after coming from the Illawarra competition last year. Rikeya is a product of the Tarsha Gale competition and was part of the St George Illawarra Dragons squad in the NRLW. In her first game for Cabramatta last weekend, Rikeya scored six tries. Additionally, there will be opportunities for new players in the Blues squad this year. There will be at least two spots up for grabs. Samantha Bremner and Nakia Davis-Welsh will be unavailable because they are pregnant. Given the talent that emerged in last year’s NRLW competition, this will also push the current squad to work harder now that there is competition for their spots. 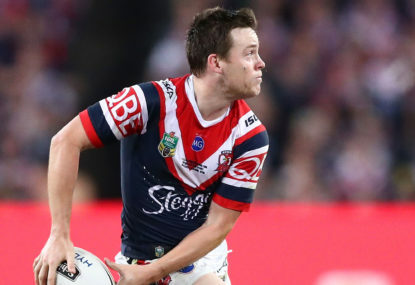 The squad is expected to be announced the week after the NSWRL National Championships, which will be held from May 30 to June 2. Some of you may be wondering why the NRL have decided to keep the Origin concept as is – a stand-alone game. 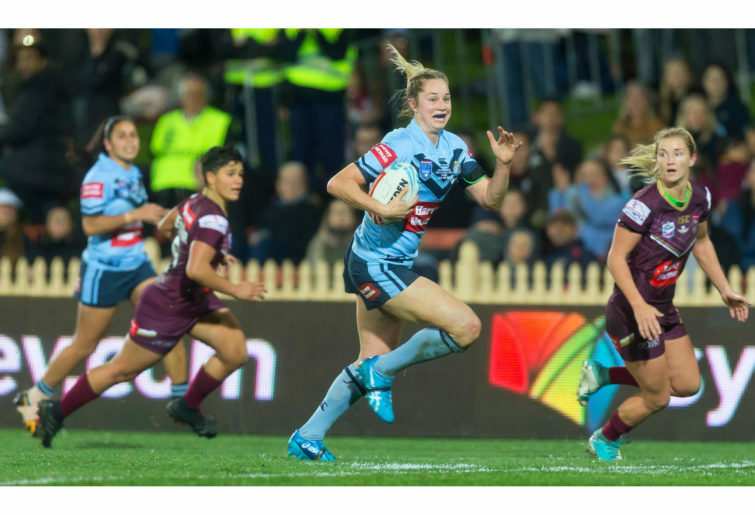 In response, NSW captain Maddie Studdon has said: “the way things are done at the moment is unreal. We know the girls in our group. We know the girls in the NRLW and we know what we want”. What the players want is a stand-alone game because the game is worthy of it. 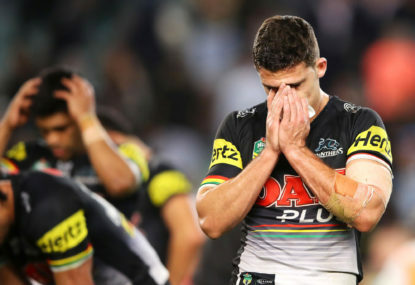 Additionally, it is a myth that people will turn up earlier to the men’s game to watch another game of rugby league, particularly when State of Origin is held on a weeknight. I wonder how many people would show up at 5.30pm to watch the women’s game. This model also doesn’t take into account that there are many people who would be willing to pay to go watch the women play but have less interest in paying for an expensive State of Origin ticket to watch the men play. For the moment, stand-alone is certainly the way to go. In response to questions about a three-game series, this is certainly the goal in future, but we are not there yet. We will not be in a position for this to be viable until women are appropriately compensated for their participation in the game and there is the opportunity to play rugby league professionally, rather than semi-professionally. It is simply way too much to ask these women to step away from their lives, jobs and families for three weeks – which takes into account camps and preparation – unless they are paid properly. But I am confident that we will get there. If you are as keen as I am for this game, then tickets are already on sale. Tickets will be $10 and people aged under 15 get in free. There were 7000 there last year, let’s see if we can’t make it 10,000 in 2019. 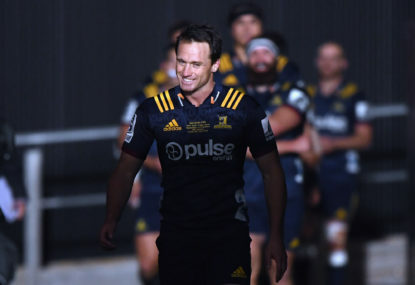 The Highlanders have broken a five-game losing streak by defeating the Auckland Blues 24-12 in the New Zealand derby. While the grand opening of this year’s State of Origin bonanza is still a few months off, for the incumbent NSW halves, it should feel a million years away. The Sheffield Shield final has arrived, with the Victorian Bushrangers set to take on the New South Wales Blues in one of the biggest grudge matches this country has to offer. This is The Roar’s guide to streaming the match online, and watching it on TV. The 2019 Sheffield Shield final will feature minor premiers the Victorian Bushrangers, and the New South Wales Blues. The match is scheduled to start on Thursday, March 28 at 10:30am (AEDT).